This rib knit side snap babybody with fold over cuffs makes dressing effortless! 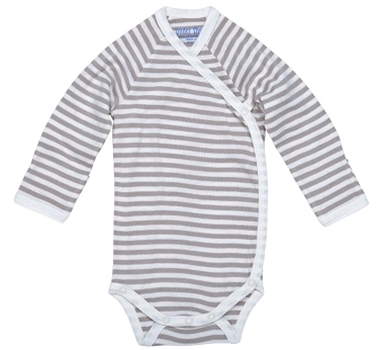 Tan stripes coordinate with everything in our Nature's Nursery collection. Made from the finest 100% certified organic Egyptian Cotton for a garment that is especially gentle on your baby's skin and the planet.